The two New Zealand companies Ravensdown and Ballance Agri-Nutrients, now the only two clients of phosphate rock from occupied Western Sahara in the world, are defending their purchases on social media. Here is what is wrong with what they claim. The last couple of days, the two companies Ravensdown and Ballance Agri-Nutrients in New Zealand, both importing phosphate rock from a Moroccan state-owned company in occupied Western Sahara, have been busy trying to explain their trade. The responses have been published through their websites, social media and comments to journalists. The replies are either not addressing the question, or erroneous. Now, the Green Party of New Zealand has asked for a select committee enquiry to investigate the New Zealand imports. The topic has come to the surface as a series of large stories have this week appeared in the important online news website Stuff. See here, here, here, here, here. It is useful to go through the background to the issue, and what the companies are actually stating. Is New Zealand the only country left to import? From 2019, two New Zealand farmer owned co-operatives will be the only in the world to finance Morocco’s occupation of Western Sahara through phosphate rock imports. Since 2012, companies from the following countries have stopped importing phosphates from Western Sahara: USA, Canada, Mexico, Colombia, Venezuela, Uruguay, Lithuania, Spain, Australia, South Korea, Brazil, Ukraine. The US/Canadian import stop was announced in August 2018, and will take effect from end of this year. The remaining importers are: 1) New Zealand 2) India. The importer in India is a subsidiary of the Moroccan state owned phosphate company. So practically, the only external clients in the world of the mine are two farmer-owned co-operatives in New Zealand. From 15 global importers in 2012, the number is now down to three, two of which are from New Zealand. Many of the companies that pulled out stated it was due to concerns of human rights or international law. The ones registered on stock-exhanges pulled out after pressure from international banks and public/private pension funds. The New Zealand companies are different - they are not owned by large banks owned by farmers. Seemingly harder to convince of the legal and reputational risk. What volumes are we talking about? Western Sahara Resource Watch has carried out a daily monitoring of vessels since 2012. Based on assessing each vessel’s cargo capacity, WSRW can establish the estimated cargo for each of the two NZ companies annually since then. Based on the phosphate rock market price, it is also possible to estimate the value. The two New Zealand co-operatives have during the years 2012-2018 imported 2 million tonnes of phosphate rock, at a value of over a quarter billion USD. The trade is detailed on WSRW’s annual reports. Our latest report about the global trade with the problematic commodity - including to New Zealand, published in April 2018 - can be found here. What is done by the Government of New Zealand? The New Zealand government played a highly constructive role while in the UN Security Council, advocating for the right to self-determination for the people of Western Sahara. When it comes to trade from Western Sahara, the government states that it has “made clear to those companies importing phosphate rock from Western Sahara that they must comply with international law". This formulation has reappeared from the NZ government through the years. No reference, however, is made to whether the Government is actually advising the two co-operatives regarding what international law actually says. NZ has a responsibility under the UN Guiding Principles for Business and Human Rights to advice companies on such matters. So while the NZ government perfectly defends the right to self-determination in the UN, it is not clear from the statements from the NZ government as to whether it has informed the companies what this right means for the companies. The consequence is that the companies repeatedly claim in the public domain that they have received advice from the NZ government, while that is not really the case. As long as the government of NZ does not clarify how it interprets international law to be applicable in Western Sahara, the companies can then invent their own version of what international law states. How do Ballance Agri-Nutrients and Ravensdown argue? Ballance states in its most recent annual report that it has conducted due diligence. Ravensdown states it “conduct(s) our due diligence with OCP”. However, none of the two companies have ever made a public statement as to why it believes the Moroccan state-owned phosphate mining company OCP has a legal right to sell them the resource from the neighbouring and occupied territory in the first place. None of them have ever answered as to whether it has asked the people of Western Sahara for permission to buy the resource. Ravensdown's clarification that it has made the due diligence in partnership with the supplier illustrates the meager approach. Would one get reliable data if one asks a thief for data on how the owner of a robbed house is beneficial or legal? The companies in question do not seem to recognize that Morocco has no right to be in the territory. In a letter to Western Sahara Campaign New Zealand on 23 February 2016, the Communications Manager of Ravensdown noted that "We will continue to [...] assessing campaigners' perspectives on both sides of the separatist/unification debate". The terms “Separatism” and “unification” are terms from the Moroccan narrative. Western Sahara has never been part of Morocco. This was latest clarified in judgments by the Court of Justice of the EU, and this aspect is a corner stone in the recent South Africa judgment on the NZ-bound shipment. There is no debate on this internationally. Morocco argues for Western Sahara to be “united” with Morocco, and labels all others “separatists”. One cannot have separatism for a territory that no country in the world recognize as part of Morocco. 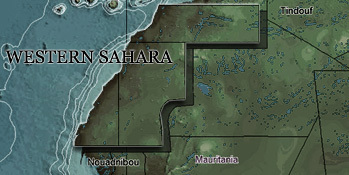 Ravensdown applies the term “area of Western Sahara”. It would be as imprecise as saying the “area of New Zealand”. Western Sahara is a territory with international borders, recognized by the UN as a territory under decolonization. Ravensdown compares the situation of Western Sahara to other non-self-governing territories “under dispute”, such as “Gibraltar (administrated by UK, but disputed by Spain), and the Falkland Islands (administered by UK, but disputed by Argentina).” However, issue of Western Sahara can under no way be compared to the ones mentioned. Gibraltar and the Falklands are both controlled by UK, a state that is recognized by the UN as the administering power of the two colonized territories. The UK has on both cases made sure that their presence respects the right to self-determination. A referendum on independence in Gibraltar in 2002, and a referendum on independence in Falklands in 2013 confirmed that the peoples of those two territories wanted to remain non-self-governing under colonial rule. Western Sahara, on the other hand, is illegally occupied by a third party state which is not recognized as the administering/colonial power by the UN. Morocco has no intention to allow the people of the territory to self-determine. It would be more correct to compare Western Sahara to East Timor under Indonesian illegal occupation or Namibia under South African illegal occupation. This is not a conflict between Algeria and Morocco. It is a conflict between Morocco and the people of Western Sahara. The Moroccan invasion is labelled an “occupation” by the UN General Assembly. Labelling this a conflict between Morocco and Algeria, is applying the very same – and highly political – narrative as the Moroccan government is doing. Ravensdown refers to the conflict as “a post-colonial dispute”. That is incorrect. The dispute is not post-colonial, as the territory is still treated as a colonized territory according to the UN. This goes into the core of the matter: the conflict is one of decolonization that is prevented by Morocco. It is not clear how Ravensdown has come to this conclusion. The main aspect of dealing with the resources of a non-self-governing territory is that the people’s right to self-determination is respected. This was the essence of the Court of Justice of the EU judgment in 2016, which in turn the court case in South Africa was based on. The entire aspect of self-determination – the right to choose – is totally omitted from the companies’ reasoning. The two companies have never answered to the question on whether they have achieved the consent of the people upon dealing with Morocco. Ravensdown notes that it is “satisfied that OCP does comply with the UN framework at this time”. However, again, there is no reference to what “UN framework” it refers to. OCP does nothing to ascertain that the exploitation is in line with the wishes of the people, which is the principle requirement when it comes to matters of a non-self-governing territory. Ravensdown notes that “We are confident that domestic and international law currently permits importing phosphate rock from Western Sahara”. It is correct that New Zealand has no embargo in place. But stating that international law allows the trade of Western Sahara’s resources suggests that Ravensdown has not read the judgments from the Court of Justice of the EU nor the judgment in South Africa which intercepted their cargo in 2017. In order to defend the operations, Ballance Agri-Nutrients and Ravensdown consistently refer to the “benefit” of the local population. Most of the companies’ responses is regarding the aspect of benefits. Saharawi population is not benefiting from this"). 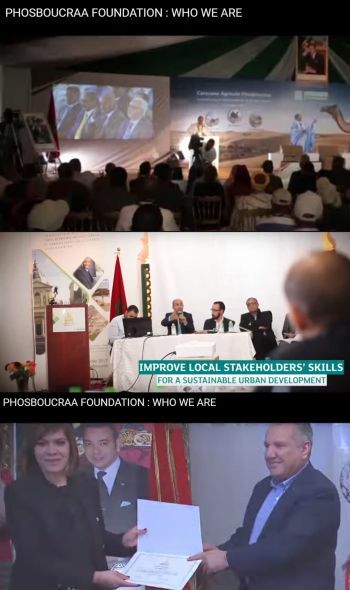 In order to give arguments for continued trade with Western Sahara, Ravensdown has posted a video that displays Moroccan propaganda (portraits of the king and Moroccan flags) on events on occupied land.The aspect of New Zealand companies claiming what is beneficial to the people of Western Sahara is rather insulting to the people of Western Sahara. Notice that neither Ballance nor Ravensdown address what it has done to ascertain the consent of the people to operate there – which is the key legal requirement. Ravensdown’s opinion of local benefits is actually irrelevant. If the owner of a stolen goods do not allow property to be sold, then it is illegal and unethical to buy it. The insulting approach vis-à-vis the people of Western Sahara is clear also when the companies use a OCP propaganda video to legitimise its claims of local support. The video (see screenshots to the right) repeatedly shows images of the king and the Moroccan flag, even though the operation is on occupied land. What did the companies state to WSRW? Ballance Agri-Nutrients and Nutrien have never responded to questions asked by Western Sahara Resource Watch. Our association has received one letter from each, but they fail to address our questions. WSRW sent letters to Ballance on 4 May 2014, 5. June 2014, 9 February 2015, 27 January 2016, 21 March 2017, but only received one reply back, on 6 May 2014. The latter reply did not contain an answer to the questions asked. A letter sent from the Norwegian Support Committee for Western Sahara on 1 July 2008 was never responded to. WSRW sent letters to Ravensdown on 4 May 2014, 8 March 2017 and 22 February 2018. A response was sent from Ballance to WSRW on 3 June 2014, while one letter was sent from Ravensdown to Western Sahara Campaign New Zealand on 23 February 2016. Download also: Video of refugee Senia Bachir Abderahman - who tried 22 times to get answer from OCP on their bizarre claim of her people benefiting from the plunder. What should the Government of New Zealand do? The grave legal misunderstandings by the companies involved, illustrate an urgent need for the Government of New Zealand to advise the co-operatives on the interpretation of international law and human rights applicable. It is not sufficient to state that laws have to be respected. The Government needs to specify how the companies should interpret international law, as this seems misunderstood by the NZ co-operatives. The Government could also assist. One importer in Perth, Australia, managed to stop the controversial imports through investing on the plant to be able to take in other global sources. It is not known whether the NZ government has entered into a dialogue with the companies to assess how to invest in the plants so that they can receive phosphates from other reserves internationally. Ballance and Ravensdown already import from uncontroversial mines in Morocco proper, and it should be realistic to get the supplies through those mines. Both state in the public that they seek to diversify.